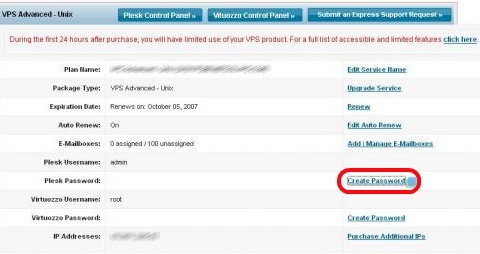 Once you have purchased the Network Solutions Web hosting package, you will need to set up the necessary passwords to allow you to manage your hosting package through the Plesk and Virtuozzo Control Panels. 2. Click the Manage Account tab at the top right corner of your page. 4. Click the My VPS Hosting Package icon. Note: If you have more than one nsHosting™ VPS Package, select the package you need to update. 5. Click the Create Password for Plesk link. 6. 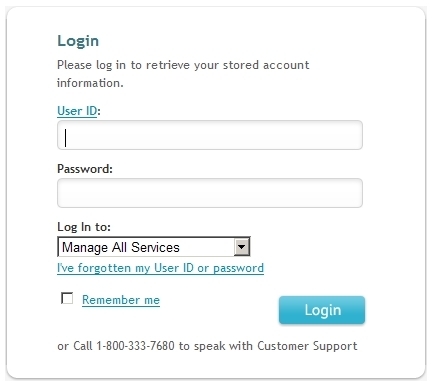 In the fields, type your password and confirm your Plesk password, then click the Submit button. 7. Click the Back to VPS Details link. Note: Once you have followed the process to set up your Plesk password, follow the same steps to set up your Virtuozzo password. 1. Click the My Product & Services tab. 2. Click the My VPS Hosting Package. 3. Scroll down, then click the Assign New button. 4. Select the domain from the Domain drop-down box and the IP Address from the IP Address drop-down box, then click the Assign button. Your domain is now assigned to your VPS package. 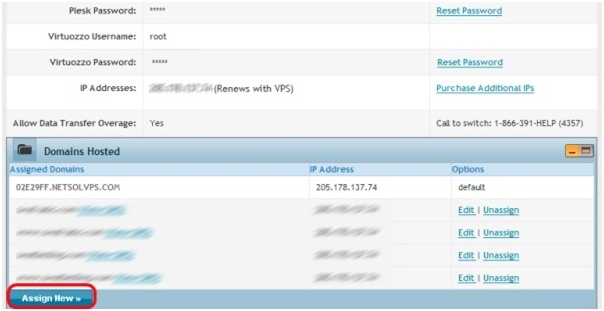 Click the Go back to VPS Details link. 3. 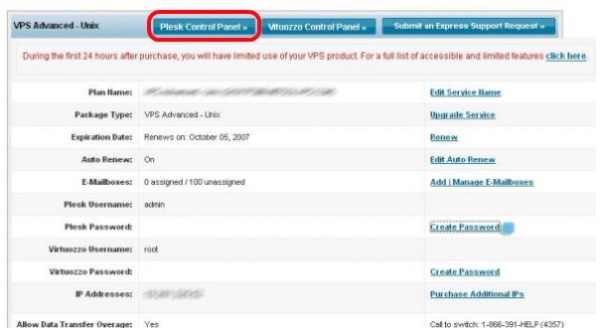 Click the Plesk Control Panel Button. 4. Enter admin for the username, then enter the password that you just created.